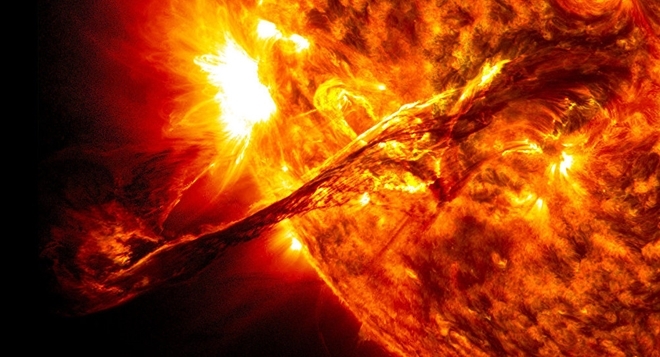 NASA's Johnson Space Center has invited Russian scientists to jointly develop a system of forecasting radiation hazards during solar flares to protect crew of NASA' s prospective lunar-orbit space station Gateway, Mikhail Panasyuk, the head of the Skobeltsyn Institute of Nuclear Physics at Lomonosov Moscow State University, said. We have recently received a letter from from our US colleagues working in the field of radiation safety at the Johnson Space Center with a proposal to discuss creation of a system to predict radiation hazards from solar flares for long-term interplanetary flights. And, first of all, we are talking about the lunar near-moon station," Panasyuk said.